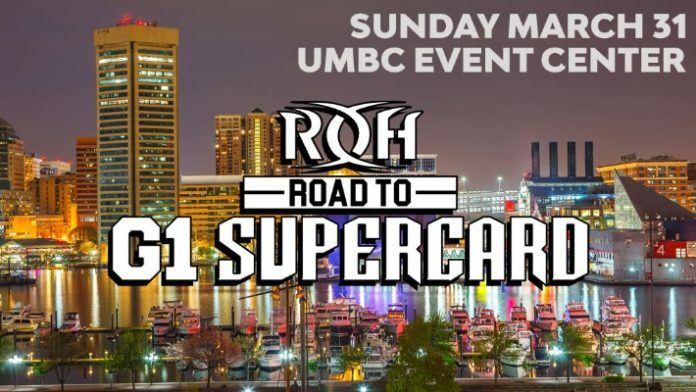 The updated card for the ROH Road To G1 Supercard: Baltimore has arrived. This is a big event for Ring of Honor as the show serves as the final event before the big upcoming G1 Supercard special. Silas Young vs. Mark Haskins. Kenny King vs. PJ Black. Shadow Squad (Cheeseburger, Eli Isom and Ryan Nova) against Coast 2 Coast (LSG and Shaheem Ali) and Colin Delaney – Six-Man Tag Team match. Ring of Honor Wrestling (ROH) and New Japan Pro Wrestling (NJPW) are co-promoting the G1 Supercard event in New York City’s Madison Square Garden on April 6th during WrestleMania 35 weekend.